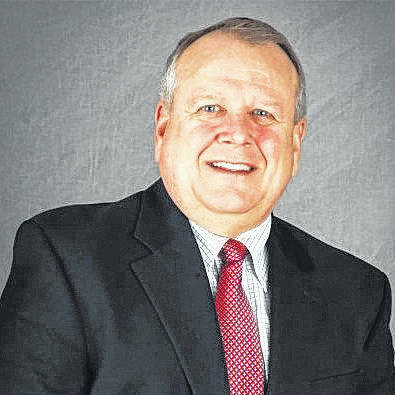 XENIA — Dr. John Mossbarger, member of the Ohio Board of Trustees of the Ohio Farm Bureau Federation representing Clinton, Fayette, Greene and Warren counties will be the guest speaker at the Monday, Feb. 26 Farm Forum meeting. Dr. Mossbarger is a large animal veterinarian and a graduate of The Ohio State University where he received his bachelor’s and doctor of veterinary medicine degrees. He will share the areas of emphasis in agriculture being addressed by the Ohio Farm Bureau Federation Board as well as accomplishments in 2017. The program will start at 6:30 p.m. with a meal and will be held at Union United Methodist Church, 1145 Union Road. The meal cost is $12 per person and will be served prior to the program which starts around 7:15 p.m. Please RSVP by Friday, Feb. 23 if you intend to have dinner. No reservations are necessary if you just wish to attend the meeting. For reservations contact Paul Ayres at 937-352-6379 or email him at payres1@woh.rr.com. The meeting is open to the public and is sponsored by Greene County Farm Forum.